New Battlefield 2019 title leaked? Why would they make WW2 again after they already done one? Also, already announcing the next BF title when the currect one wasnt even released yet? And It's fake, it says 18 on the title not 19. Lets be honest, how often are leaks true? Almost always they are fake and just some guy trying to get attention. I can only think of one ive ever seen that was actually legit. And that was that one Fallout 4 leak. 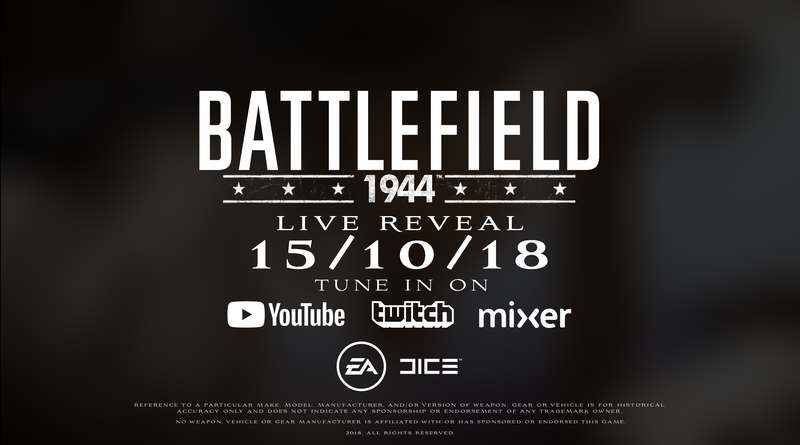 The only way this could be a real thing is if it's a remaster of BF 1942/1943, but even then it's a bit odd to remaster that game when DICE is already releasing a WW2 game this year. This said, I'm pretty sure anybody could create this pic via photoshop in 20mins or less, so it's most likely fake. The font from "15/10/18" is Aviano. maybe do what Microsoft did with halo, something like halo wars? I think its safe to assume that next BF game is Bad Company 3. AlmightyDaq predicted BF1 and BF5, so I put my money on him for the 3rd one too. of course, I should have known.